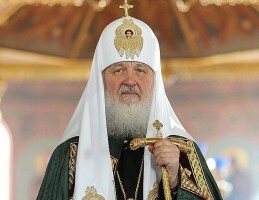 – Metropolitan Onuphry, today there is unprecedented pressure on the Ukrainian Orthodox Church. Unlike others, you do not support the anti-terrorist operations in Eastern Ukraine. 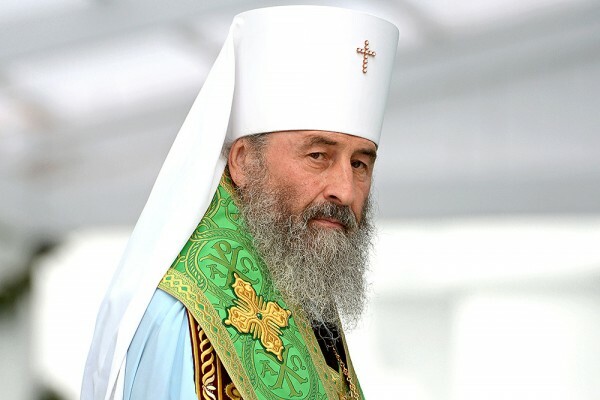 In particular, because of this the mass media is unrestrainedly pouring dirt both on you personally and on the Church, apparently trying in this way to drive a wedge between the Ukrainian Orthodox Church and Ukrainian society. 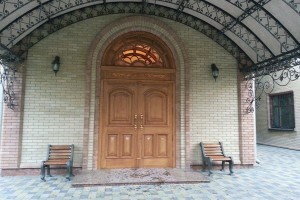 Your opponents have skillfully taken advantage of this and, under specious slogans of love for country and Ukraine, have captured a massive number of churches in the region; it has reached the point of appeals from the tribunal of the Verkhona Rada to transfer both the Kiev-Caves and the Pochaev Lavra to other, more patriotic churches. Nonetheless, you maintain a fairly tough stance on the question of the military conflict in Donbas. Why is this so? Why do you not seek compromise with the authorities, given that today the Ukrainian Orthodox Church is in a very difficult situation? – To reply to this question, one first needs to make a digression into history. When the Savior, the Son of God, came to earth and assumed our human nature, the Jewish nation expected from Him that He would be the one, the hero, who would organize, build, or restore the Kingdom of Israel. But this did not happen. And when Christ was asked about this, He replied that the Kingdom that He was preaching was not of this world. The Savior performed many miracles. When the Lord raised the Righteous Lazarus, many believed in Him. Then the Sanhedrin gathered: the chief priests and Pharisees. They decided that if people would further follow Jesus, the Romans would come and take possession of them all. That is, they decided that the Savior’s miracles were not patriotic deeds. And when the Savior was tried, He was accused of being against Caesar, that is, of being against the Roman king or Emperor. To summarize what has been said: our Savior, the Lord, was accused of not being a patriot, that He did not support the political ideas dominant at the time He lived. And who can say that this was the case? The Savior came to embrace all people and to free them from sin. They sewed such a tag on him. And the Lord said: “As they have done unto Me, so shall they do unto you.” We are the Church of Christ. The canonical Church is the Church that is established on what Christ gave His Apostles. And at all times, for as long as our Church has existed, we have always been accused of not being patriots. Although greater patriots than are in our Church I have not seen anywhere. – Excuse me, how is this patriotism expressed? – Patriotism is expressed in the fact that if I am a patriot, I want the good of our land, I want the good of our people. How is this good attained? Who is the giver of these goods? It is the Lord! The Lord grants the good, and not we! And so it is with everyone: if I serve God faithfully, if I fulfill God’s statutes, rules, and laws, then I am a patriot, and the best kind, because through me, the sinner, who strives to fulfill these laws, God’s blessing goes onto our whole land, and onto our people. If I do not do this, if I live contrary to the Divine Law, then one can beat one’s chest with one’s fist that I am a great patriot, and thus harm oneself, one’s people, and the land. Because God’s grace does not reach the land through a sinful vessel. Therefore our Church always was and is patriotic, but our patriotism is expressed in the fact that we call upon people to live with God, to be at peace with Him. And we thereby find happiness for ourselves, and through this we seek God’s grace for our land, and our people. If we are now to speak concretely about the war boiling in the East, I would want to point out the nature of this war. This war is a civil war. I am not just saying this like I am repeating something, but I know personally from bishops who serve there and from people I know that, for example, a father in a family is serving in the National Guard, while the son is on the side of the militia. Among many friends, one brother is on one side, and the other brother in on the other side. Many friends who live in Kiev, and are themselves from Donetsk, say that their friends were on the other side. There are those who live here, on our side, and those who have remained there, on the other side. Of course, when there is a military conflict – for example, when there was the civil war following the 1917 revolution – then some looters, murderers, criminals, and whatever joined them. Thus in the current fratricidal war a brutality clings to what is going on there. But this situation is not produced by those people who are fighting, but by those who are responsible for this war. This is a fratricidal war. Therefore the Church, just as after the revolution of 1917, now calls upon all to come to terms with one another, and to forgive one another. Thus we can maintain the integrity of our state of Ukraine. Thus we give its people the opportunity to develop, to improve their material position. This will not be based on blood and war, for the Church calls upon people to find within themselves the strength to forgive one another, to stop killing one another. 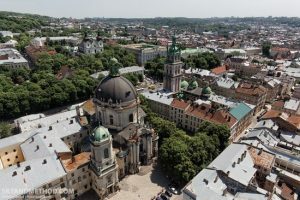 This position of our Church is not just that of today, but it goes back to 1917; it goes back to other times, where there were similar wars, when our princes rebelled against the Holy Prince Vladimir, and brothers were killed: Sviatopolk, then others. In those times our Church, the Canonical Church, called upon people to forgive one another. For this monks and bishops were exiled and we were hated, but then they realized that we were right, and we were reconciled. So I think we will be understood in the current situation. – Do you mean to say that during the civil war after 1917, the Church did not support any one side? – None. Although the authorities needed the Church to support it (the Soviet authorities). There were then priests and bishops who did support it, and went over to that side: the well-known Renovationists. They began offering their services: they said they would do whatever asked of them if only they would let them sit in the chair next to you. And they lost everything; they were even hated by those who used them, because no one loves a traitor. Traitors are made use of, but nobody loves them. Today, too, we also somewhere have politicized bishops and priests, who also want to swim with the current political line. And they also greet everyone, but this is not honest, it is wrong! – This is taking place even within the Ukrainian Orthodox Church? – I think that there is some of this among us. And this is not right and is dishonest. For this one needs to give an answer, to give account to the Lord. How can I comfort a mother who comes to me? Many mothers come to me, whose sons perished there in the war, on the side either of the Ukrainian Army or on the other side. No one comes to me from that other army, but they come to our bishops. And we cannot, I cannot prove something to a mother or comfort her, you know… I have no argument that would reassure her. To say that her son perished for one reason or another… that he defended the integrity of Ukraine there in the war. I cannot: she does not need any of that – she needs her son. After all, we live among ordinary, simple people. I respect authority and I love authority. It is ordained of God. But God grants authority to do God’s will. That it would maintain and create peace, not war. So I love and respect authority, but ask that it would do everything possible to end the war. I do not go for compromises if they contradict the Law of God. But I am ready to compromise and to yield what I can. But as far as the canonical rules and life of the Church are concerned, which have guided our land for more than a thousand years, and in history for more than two thousand years, in this the Church will never yield, and cannot yield. If I did, If I compromised, we would cease to be the Church. It would exist, but I would be outside the Church, and I do not want this, I want to be in the Church. – One more question. It concerns me, and I know it does many other people. Why does God allow war? In the Gospel it says that everything happens by God’s will, without which not even a hair can fall from one’s head. It works out that God looks at man, at everything that takes place, from heaven, from above – and watches as a shell hits a house and there tears a young child to pieces. It is very difficult for me to understand and accept this. – In the Holy Gospel it says: “But there shall not an hair of your head perish” without the will of God. But this concerns those people who live according to God’s will. But those who live without it can tear the hair out of their own head. Let me explain it another way: sin has the tendency to spread to the generation of the person who sins. Virtue also extends to the offspring of him who is virtuous. And in Holy Scripture it is said that if man does good, then God’s blessing will spread to a thousand generations of this person. But if it is evil, its consequences will spread to the third and fourth generation. That is, if I sin, my sin can harm my son and grandson, and my great-grandchildren may suffer. And the blame for the war that is going on is attributable not to God, but to man. Man is endowed by God will free will. And if people themselves want to go fight, they will not listen to God, and will fight. And why do children perish? As a consequence of the war, from a shell hit, and the blame for this goes to the people fighting, not to God. God does not want anyone to perish and for children to perish. But this is permitted to those who sin. – He can stop it, but then He would violate man’s free will. Then people would become like animals, because free will is a property of the likeness of God that is in man. What does it mean to bear this likeness? This means being capable of enjoying happiness, peace, and joy. If this image were not in man, then he will not experience this, but would be like an animal: he would eat, sleep, eat again, and in a few years go into the ground, which would be his end. But God’s image gives man the opportunity to enjoy the goods that the Lord has in Himself, and grants through this image to people the ability to be here and then have a continuation of this enjoyment in eternity. Therefore God does not remove from man this property, saying: if you want war, that means I will take away your free will; and if you do not want it, I will give it. Would this really be just? Even the person from whom God deprived this free will could then say at the Dread Judgment: Lord, I could have not gone to war, I would not have gone and would not have killed anyone, but You simply did not give me this opportunity. But God grants man the opportunity to realize this image, He wants it to be realized according to His will, in good and not in evil. Therefore the blame for war goes not to God, but to people. And blame for children perishing in war goes to those who did it, and not to God. – Most likely, in the very difficult position now, people from both sides are likely near the front. What would you wish them? What word would you say to them? – I want to tell them that they are not as sinful as some think, because they are suffering from the war. I am talking about ordinary people who do not have any relation to the war, not its creators, but about civilians. They are not the most sinful. As the Lord once said, that when the tower fell upon people, it killed those who were not the greatest sinners, but that if you do not repent, you will all perish in this way. The Lord thereby shows us that, if we will not live according to God’s will, we await the same. “The sword shall eat you” – such is the Biblical word. When the Jews lived with God, they had prosperity, the earth gave forth, children matured, and everything was happiness. But when they began to depart from God, there arose famine, pestilence, war, and the sword. They were trampled upon, but then they again began to repent and again began to live well. And this repeated itself many times, and with us it is repeated on a global scale. If you do not live with God, then you yourselves create war, and for this we are to blame. Repent, return to God, and all this ceases and once again there will be goodness, beauty, and a peaceful life. And to these people who are suffering, I wish them God’s blessing, that they be manful. The Lord will not leave them. The main thing is that they lived with God, and the Lord will not turn away from them. They will all endure. – May the Lord save you!